Cooking with herbs can be a wonderfully creative experience as you experiment with different herb flavors, both individually and in combination. Beef recipes have unique needs. This substantial meat calls for herbs and spices that are savory and have their own strong flavors that can hold their own. 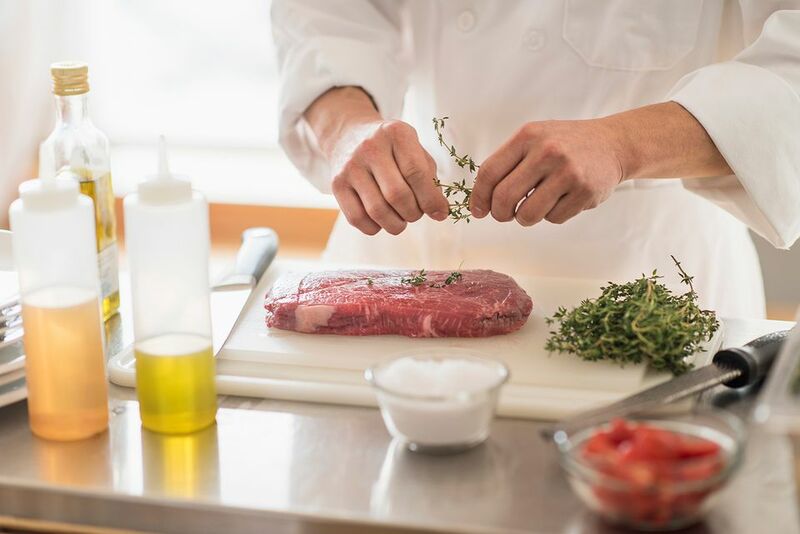 Picking a list of best flavorings and herbs to use with meat recipes is a subjective decision with different experts choosing different flavorings. Spices Inc., an organization devoted to promoting the use and sale of spices, has a broad list of its favorite flavorings for beef: basil, bay, black pepper, cayenne, cumin, curry powder, dry mustard powder, garlic, onion, oregano, rosemary, sage, and thyme. The National Heart, Lung and Blood Institute, a governmental agency devoted to health, lists a smaller group of its suggested flavorings for beef: bay leaf, marjoram, nutmeg, onion, pepper, sage, and thyme. Now, take a look at a list of five great herbs for flavoring beef with explanations why those herbs made the cut. And, whenever possible, use fresh herbs rather than dried herbs in your recipes. 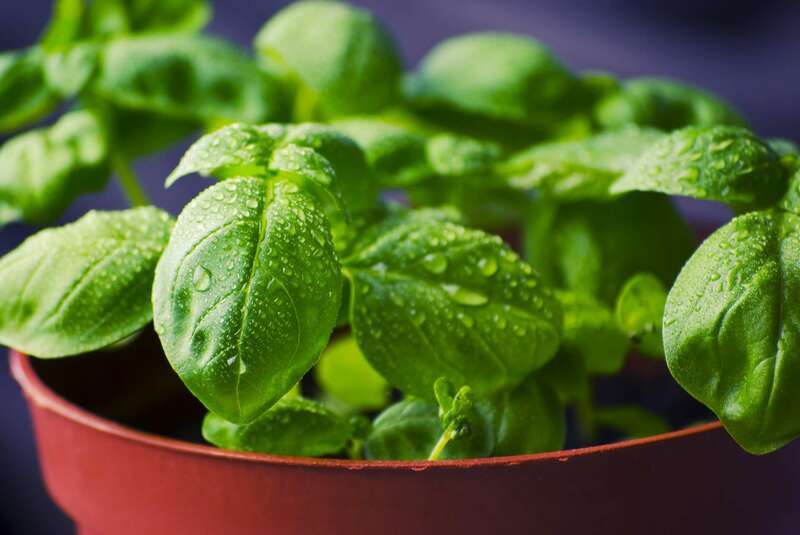 If you can grow your own herbs, even better, it will ensure maximum freshness and best taste. Basil is a bright and powerful flavor that pairs well with the deep flavors of beef dishes. It is delicious when cooked into a recipe, but best if added towards the end of the cooking time to brighten the dish and add a new facet of flavor. Basil does not dry well, it becomes black and tasteless when dried. So, try storing it by blending with just enough oil to make a slurry, and then place it into ice cube trays to freeze. Once frozen, pop the cubes out and place them in a freezer bag to store. To use, put a cube into your gravy or sauce at the end of the cooking time, and heat until melted. Consider growing rosemary as an indoor herb, which will taste much better than the aged version from the store. A rosemary plant can be successfully grown next to your stove by using a grow light. Rosemary works well either dried or fresh, so try drying it and keeping dried rosemary in glass jars for easy access. Sage is another herb that grows well indoors, and it is sure to thrive if you provide adequate lighting. Both fresh and dried sage tastes work well in recipes, so use either version in your beef recipes. Thyme is also easy to grow in an indoor garden and will do fine in a sunny window. Many chefs like to grow several varieties lined up on the window sill—the lemony taste of lemon thyme is a favorite. Parsley has come into its own in recent years and has become much more than simply a garnish. Cooks who are familiar with this tasty herb know it can hold its flavor if used fresh and added to the end of cooking. Although not commonly grown indoors, it is possible to grow this biennial herb indoors if you give it time to mature. Because it is such a slow growing herb, try to buy a fresh parsley plant late in the summer and bring it indoors for the winter.